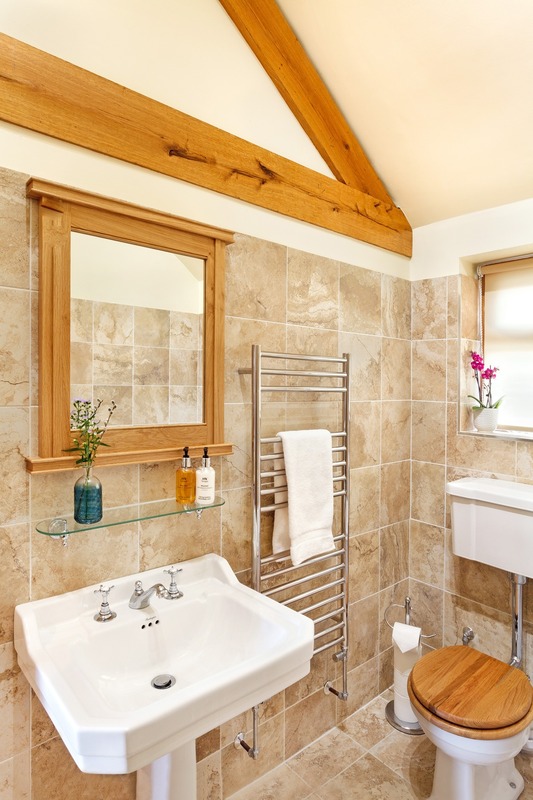 The Hurworth is a luxuriously appointed en suite double bedroom with a Kingpin oak truss in the centre of the room and visible oak purlins. 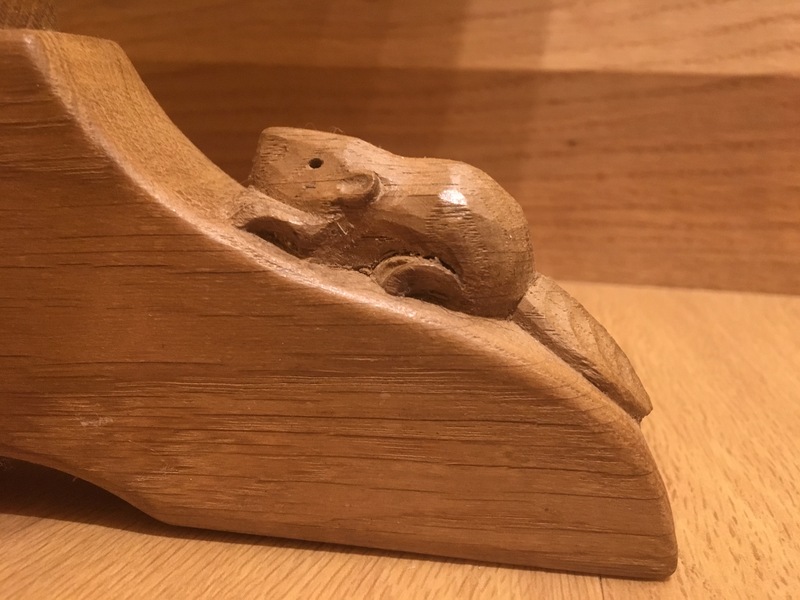 The room is decorated with locally made English oak furniture crafted by Beaver Furniture and accessorised with Robert Thompson (“Mouseman”) pieces. 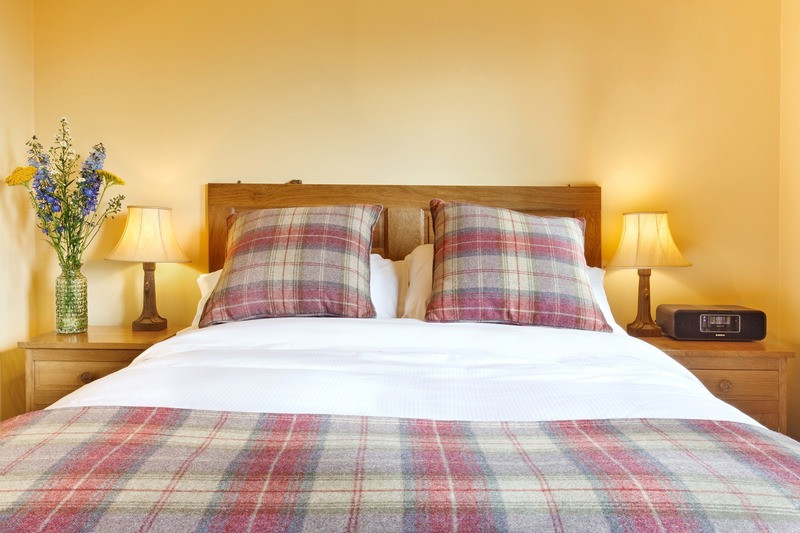 The room is well appointed with a kingsize bed with the recent addition of a chaise lounge. 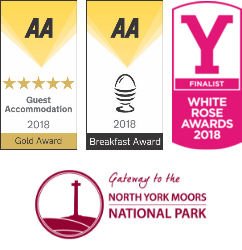 Like all our rooms it offers free WiFi, a TV/DVD player, a Roberts radio sound system with alarm, a hospitality tray and a fridge/minibar with fresh milk. 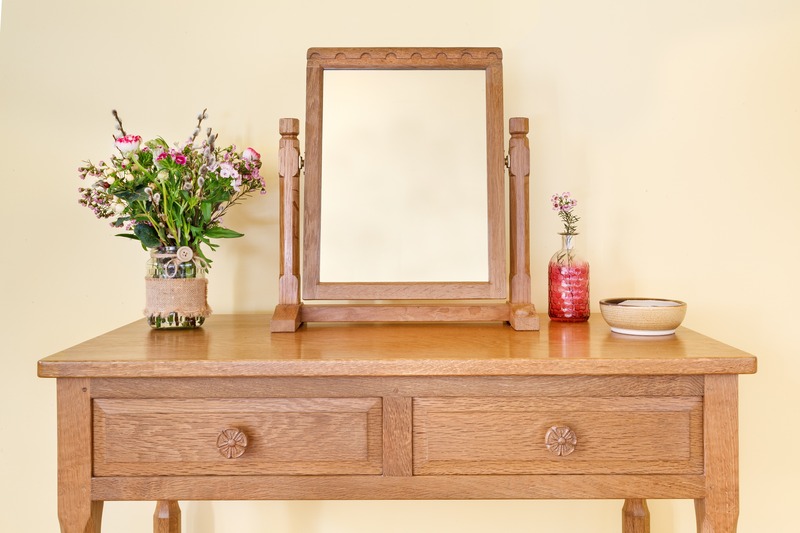 There is a dressing table with mirror and a salon style hairdryer, a full length mirror and a large oak wardrobe with drawers. 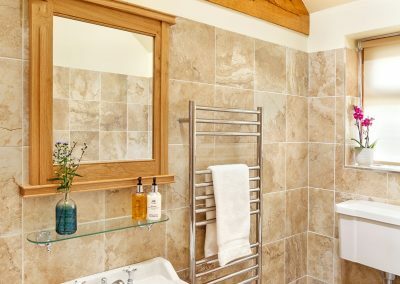 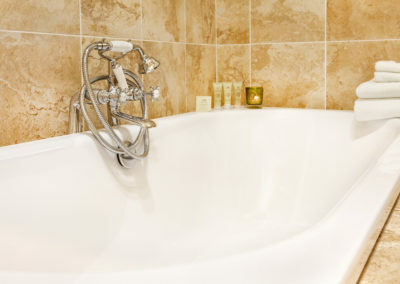 The en-suite bathroom with underfloor heating are equipped with a large bath with shower combination and a separate walk-in rain head shower. 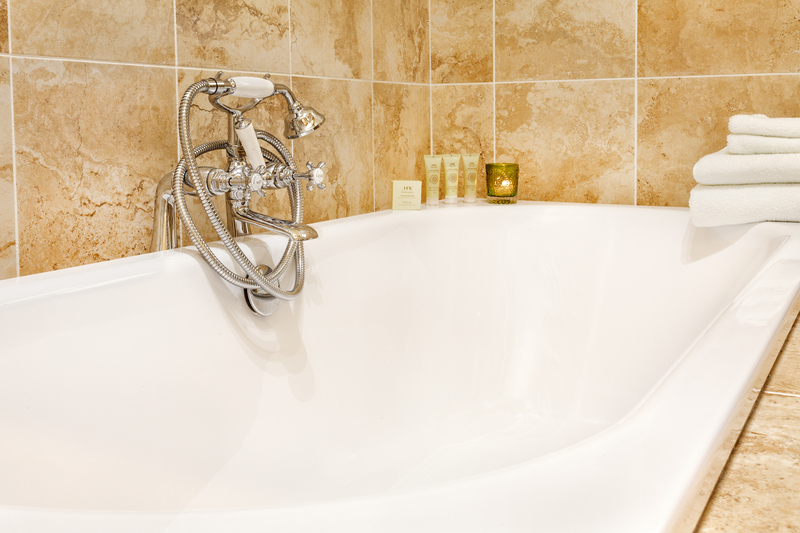 Guests can enjoy the complimentary luxury toiletries offered in all our rooms.